Measles kills about 1 million people annually around the world. Prior to measles vaccination, half a million cases a year occurred in the U.S., with tens of thousands hospitalized, permanently damaged or killed by the infection. This viral infection can cause a rash, cold symptoms, or more serious infections like pneumonia, encephalitis (brain inflammation), deafness, brain damage or death. It spreads so easily that any unimmunized child who is exposed to this germ will likely contract the disease. Pregnant women who catch measles can suffer from spontaneous loss of their fetus. Mumps is a virus that causes swelling of the salivary glands, meningitis, encephalitis, swelling of the testicles, potential deafness, male sterility and death. Rubella, or German measles, causes fever and rash and can lead to severe birth defects including deafness, blindness, small brains and permanent brain damage in the unborn babies of pregnant women infected with Rubella virus. MMR vaccine is a live attenuated (weakened but living) viral vaccine given at ages 1 and 4. The shot occasionally causes mild fever, rash or lymph node swelling. Rare reports of seizures caused by fever associated with MMR have been noted. Less than one in a million children vaccinated experience encephalitis (brain inflammation). Despite widespread media attention regarding the possible connection between autism and MMR vaccination, over a dozen large and well-designed studies have refuted any link between vaccinations and autism. Children with immune suppression or certain serious illnesses should not receive MMR vaccine. An outbreak of measles, defined as 3 or more linked cases, is currently happening in Southwest Washington, where a state of emergency has been declared as the virus continues to spread. Portland, Oregon, also is reporting increasing cases. 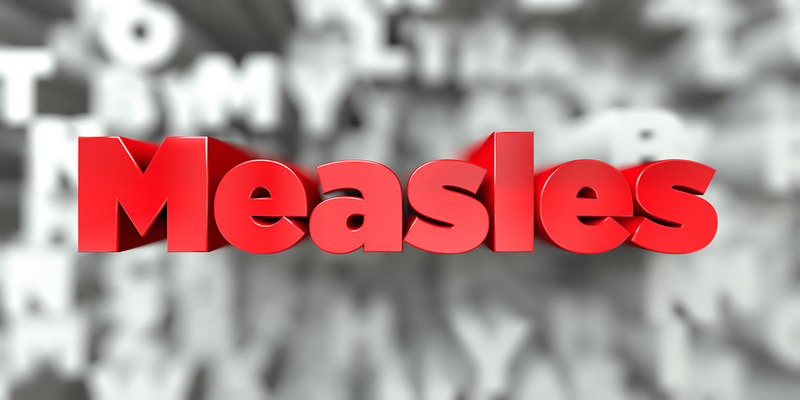 Lane County is NOT currently in a measles epidemic, although Lane County Public Health officials are on high alert and have asked medical facilities to be ready for the high potential of seeing cases in our area.